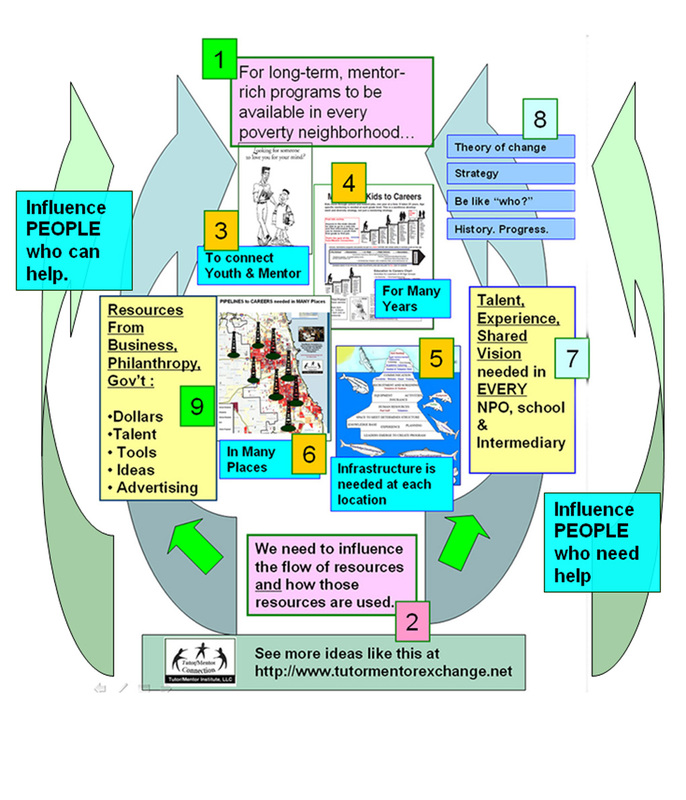 Tutor Mentor Institute, LLC: Mentoring Kids to Careers - What Do We Need to Know? Mentoring Kids to Careers - What Do We Need to Know? If you're concerned about poverty, inequality, workforce development, diversity, democracy, etc., how well we raise our kids has to be something you think about. While all kids (and parents) need help as they grow up, over the past 40 years I've focused on how we build and sustain mentor-rich non-school tutor, mentor and learning programs where volunteers from beyond the family, and neighborhood, take meaningful roles in helping kids living in high poverty areas, move safely through school and into jobs, careers and adult responsibilities. Throughout that time I've focused on "what are all the things we need to know" to make such systems available to youth in a growing number of places. I began to build a library of research articles, newspaper clips, and books that showed places of concentrated poverty as areas where kids were not getting adequate support (for many reasons) and where volunteers who become connected to kids through organized programs can help bring some of this support. Combined with my own experiences this information constantly has reinforced my commitment for doing this work. I started asking the "what do we need to know" question in the 1970s as I became a volunteer tutor (1973) and as I became the volunteer leader of an organized program that already had 100 pairs of kids/volunteers meeting weekly when I took the lead in 1975. By applying what I was learning on an on-going basis for seventeen years, that program had 440 2nd to 6th grade teens and more than 500 volunteers participating each year. 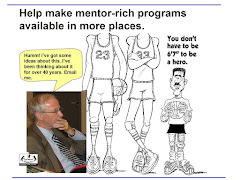 In 1993 as I and six other volunteers were creating a new program to help teens move from 7th grade through high school, we decided to fill a leadership and information void in Chicago, and created the Tutor/Mentor Connection (T/MC). Our goal was to help mentor-rich programs in every part of the city get a more consistent flow of attention, and thus volunteers, operating dollars and ideas, enabling each to sustain and improve their efforts from year-to-year. At the left you can see the 10-point strategy we launched in 1994 which soon condensed down to these four steps. You can also see a map showing high poverty areas, which was where we wanted to help tutor and mentor programs grow. How can we generate the talent, dollars, visibility and leadership needed to support more than 150 existing programs in the Chicago region? How do we help new programs start where more are needed? How do we map our data so we can understand where more are needed? 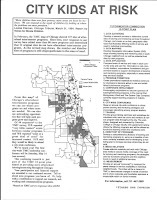 I started trying to find ways to use computer generated maps to show Chicago tutor/mentor program information as early as 1993. Learning ways to do this was part of what I needed to learn. How do we influence program leaders to use the information we share to build longer term youth support strategies? How do we influence business, colleges, hospitals, philanthropists and government to provide on-going, long-term, flexible operating support, so programs have the resources to learn, to hire and retain talented people, and to support long-term connections between youth, volunteers and the programs? 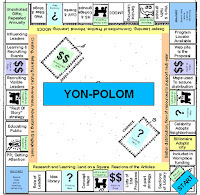 This learning became like a famous board game. Each square represents something a program leader, student, volunteer, donor and/or community organizer needs to know. The more you learn, the more likely you are to win the game--which in this case is to build and sustain mentor-rich programs that help kids through school and into jobs and careers. For youth who use the resources, winning is a life-long journey. They more other people help you, and you help yourself, the greater your chances are of leading the life you want. The "what are all the things we need to know" question led me to expand my search for information far beyond "what tutor/mentor programs operate in Chicago" and resulted in many new sections of the web library. 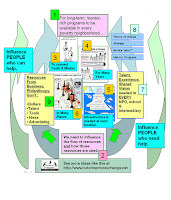 Click on the links in this cMap and go to the Tutor/Mentor Connection web library, which we started putting on line in 1998. 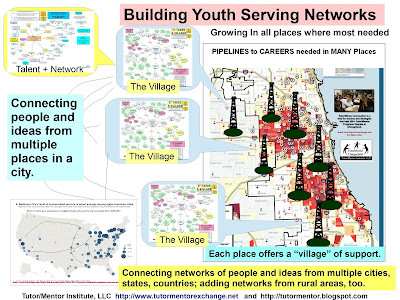 Find links to articles, reports, research and other tutor/mentor and youth serving organizations in Chicago and in other cities, states and countries. Visit this article and find a long list of links that point to sections of the web library. I've never stopped asking this "what do we need to know" question. I've just expanded my sources of information to the entire world, and my primary means of finding ideas as the Internet and various places where I find and connect with others. I add new links to the web library weekly, and share ideas via this and other blogs two or three times a week. 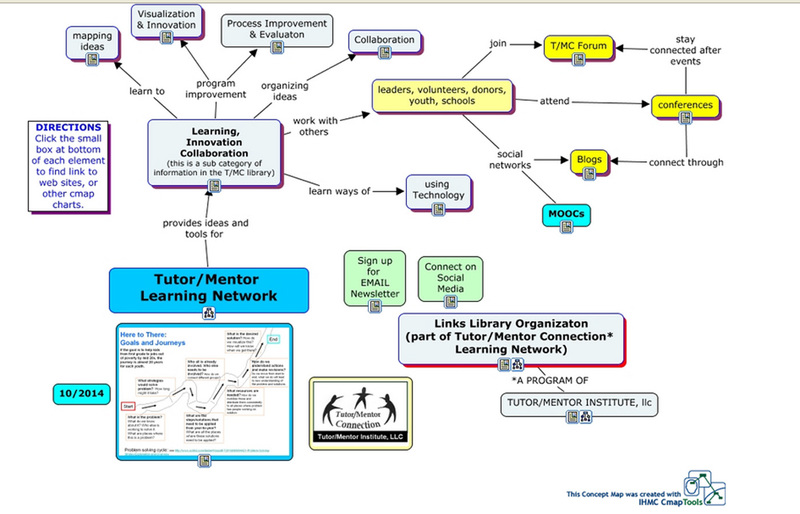 I've applied much of what I've been learning to support the work of the tutor/mentor programs I've led, and the work of the Tutor/Mentor Connection and the Tutor/Mentor Institute, LLC, which I formed in 2011 to continue supporting the T/MC in Chicago after the strategy was discontinued at the originating non profit organization. 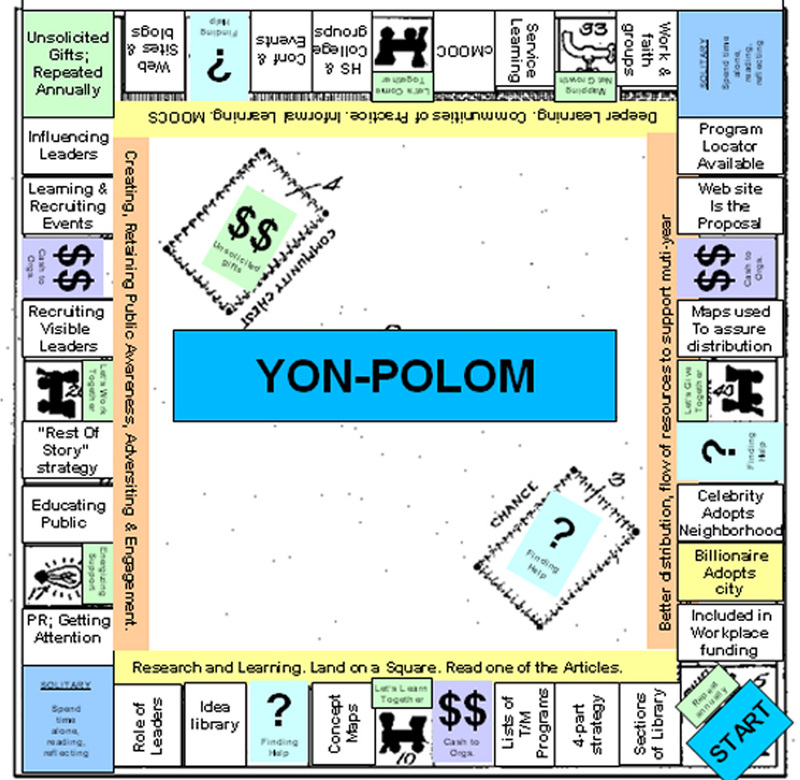 I learned in the 1970s that this was not easy work, that it required sacrifices of time to work with volunteers and youth in non-school programs, and that it required even greater commitments to spend time collecting and sharing this library of information, and to spend time visiting the sites and learning from what I read. I invite you to follow the links, enter the library and use the ideas and resources to help kids in your own neighborhood, city, state or country. If you value this resource, click here, and send a contribution to help me keep it available to you. No quick fixes. No cookie-cutter solutions.